Set against the beautiful mountains of Guilin, Yuzi Paradise is a sculpture park dedicated to the promotion of contemporary art and culture in China. The park provides people a good opportunity to get close to modern art and experience its creation. Yuzi Paradise, situated in Yanshan District of Guilin, is about 30 kilometers from the downtown of Guilin. It was founded in 1996 and sponsored by a Taiwanese entrepreneur, Rhy-Chang Tsao. The main goal of Yuzi Paradise is to build a living museum and pass down the best cultural legacy of contemporary art to descendents. The ideal is to conserve nature and create culture, and try to achieve a perfect combination of nature and culture. The overall construction of Guilin YUZI Paradise is predicted to be 30 years and divided into 2 phases. The first phase is programmed as a 10-year project based on the existed geographical features. 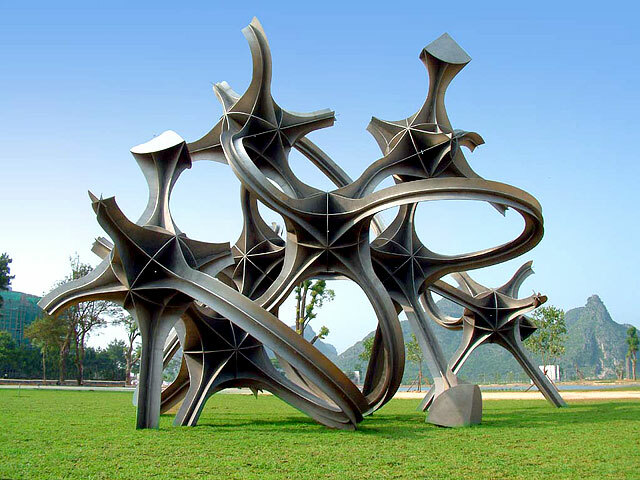 It takes the International Sculpture Park as the main body, surrounded by living & working area, art village, art salon, teaching & demonstrating are, open air theater and spiritual center. It covers a land area over 1 acre with construction items including Smile Plaza, Founder Memorial, Art Canteen, Holiday Center, Creation Center, Administration Building, Sundance Lakes, Cafe Forest, Water of Fantasy, Land Art Labyrinth, Lake of Regrets, World Flower Corridor and etc.. The second phase will focus on the cavern art project, which is the most distinguishing feature in Guilin Yuzi Paradise. Guilin is famous for its picturesque scenery of clean water, beautiful mountains and caverns and rocks. 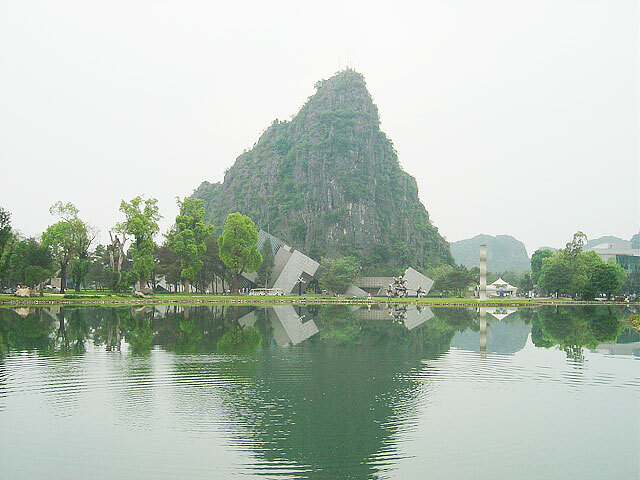 Guilin YUZI Paradise wishes to endow the unique natural landscape with cultural elements by art creation, so as to establish an immortal cultural and historical heritage for the world. The cavern art project is scheduled as three parts: historical caves, art caves and cavern art museum. The historical caves will be built in the mountains and extending for 1,500 meters. In the caves there will be permanent wall decorations and relives, with the main theme of contemporary cultural and civilization. In the art caves eminent artists of individuality and originality will be invited to perform thematic creation. The cavern art museum takes advantage of natural cave structure instead of traditional artificial architecture structure. This project will present the diversity and general trend of contemporary art and pass down to the later generations by the everlasting caves. This great and arduous project is to be completed in 20 years. Take the shuttle bus from Guilin to Yuzi Paradise at Guilin Bus Station, with a 20-minute interval (06:40 - 18:20).